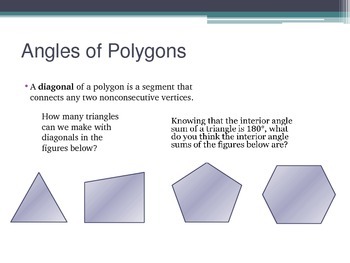 PowerPoint presentation about Polygons (characteristics, concave vs convex, regular vs irregular, exterior and interior angle sums). 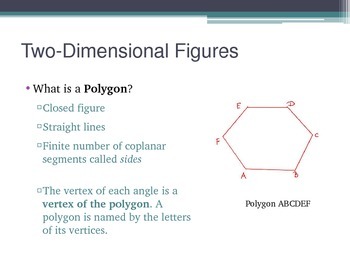 Include examples of each topic that students can do during your presentation. 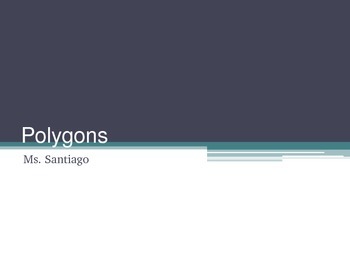 Great to be paired with "Polygons_Summary" sheet (FREE!!! in my store :) ).